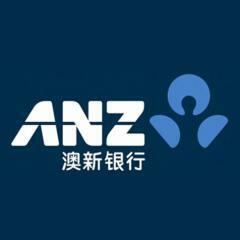 简介:ANZ (Australia and New Zealand Banking Group Limited) has proud heritage of more than 180 years. We operate in 34 markets globally with representation in Australia, New Zealand, Asia, Pacific, Europe, America and Middle East. ANZ has been in China since 1986 and today has 7 branches and 4 sub-branches in Beijing, Shanghai, Guangzhou, Chongqing, Hangzhou, Qingdao and Chengdu. In 2010, the Australia and New Zealand Bank (China) Company Limited (ANZ China) was established, making ANZ the first Australian bank to be locally incorporated in China. ANZ opened the Chengdu Hub in February 2011.The Chengdu Hub is part of the ANZ Technology Services and Operations (TSO) Division, and is one of four Group Hubs located in Bangalore, Chengdu, Manila, and Suva. The Chengdu Hub will support our continued expansion and growth in China. ANZ is also the first and the only foreign bank to have global operation centre in Chengdu. The Chengdu Hub currently has nearly 600 employees and provides various types of services to Australia, New Zealand, and Asia pacific regions in terms of banking back office operations, financial reporting and analysis, as well as various types of technology delivery services. This is an opportunity to undertake a role offering exceptional opportunities for professional development with a broad range of career paths. It’s a place where the determined can succeed, the willing can grow and together, we can prosper. We connect you to our world of opportunity. Please deliver CV both in English and Chinese versions.